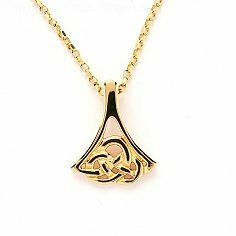 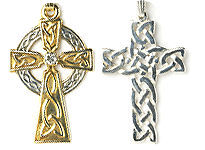 The meanings of certain ancient Celtic symbols have changed over time, due to the influence of Christianity and other religions and cultures. 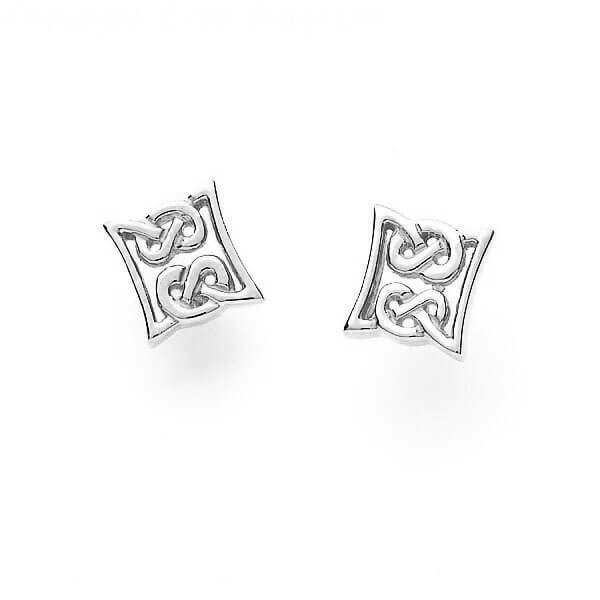 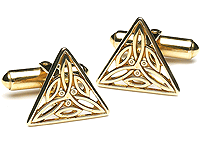 In keeping with this historical development, these Celtic knot stud earrings can mean just about anything you would like them to. 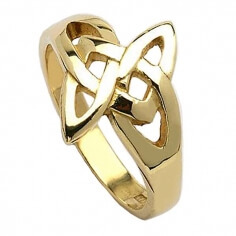 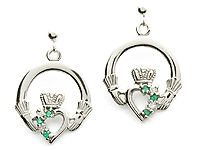 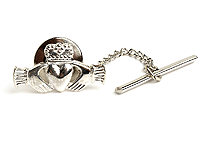 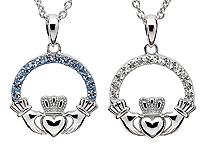 Often, two or more knots laced together symbolizes the intertwining of two soul or spirits. Made by hand in Sterling silver, 10k or 14k yellow gold, or 14k white gold, these studs could signify the moon and sun, the yin and yang of life, or simply the left and right ear! 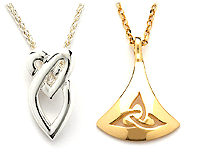 Crafted to last long enough to hold more than one meaning.